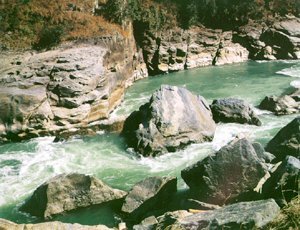 Welcome to the only web site dedicated to Preservation of the NuJiang (Salween) River of China, its peoples and species. The NuJiang River Preservation Project of China provides economic incentives through ecotourism to achieve effective conservation at the ground level. NuJiang Lisu Autonomous Prefecture Travel Service Company is the controlling agency over all tourism in NuJiang. For information about travel, including contact info, see the NuJiang Travel Bureau brochure. 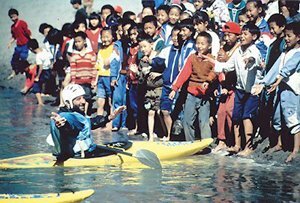 Dennis Schultz's white-knuckle tale of the first descent of the NuJiang in 1996. The three chapters link in a new window. 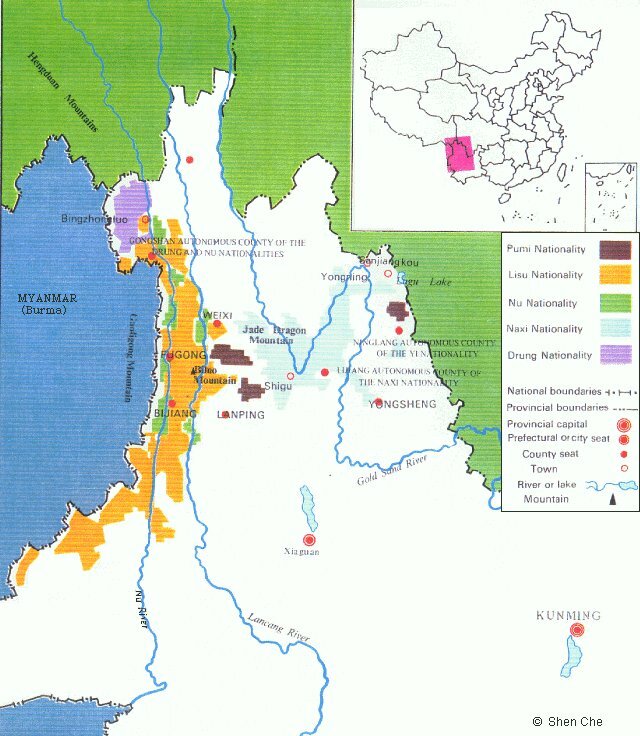 I am totally opposed to the building of dams on the Nu Jiang between Bingzhongluo and Liuku. This would be the equivalent of building dams in the Grand Canyon in the U.S. I have run the Grand Canyon several times as well as run much of this beautiful stretch of pristine exciting whitewater on the Nu. In many ways, they are comparable. The potential for tourism and river running in this valley also compares favorably to that of the Grand Canyon. To lose this would be devastating. Realizing the need for hydroelectric power in China just as power was needed in the southwest United States, I suggest that dams be built above Bingzhongluo or well below Liuku, just as they were built above and below the Grand Canyon. 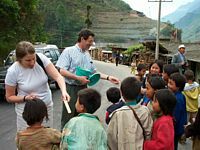 However, this region should remain open to river running and tourism just as the Grand Canyon has in the U.S. .
Marc and Jennifer travel through Yunnan on a trip set up for them by White Pearl Associates. Read their report for an inside view of ethical ecotourism in action. This report opens in a new window. Close it when you're done. ChinaRivers.com features a variety of maps of the NuJiang region, including a map of the proposed dams, maps illustrating their effects on the people of the region, and hand-drawn local maps of some of the towns in the area. We are constantly adding to this collection. To view the collection, click on the image to the left. December to January - Celebrate 3 New Years (Minority, Western and Chinese) with the Merry Nationalities of NuJiang! 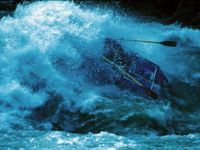 Also Holiday Whitewater Tour; Mountain Bike & Road Bike Tours. NuJiang Travel Company is the controlling agency over ALL tourism in Nujiang including whitewater, mountaineering and bicycling permits. Response to inquiries and processing of both commercial and private permits is prompt and courteous. 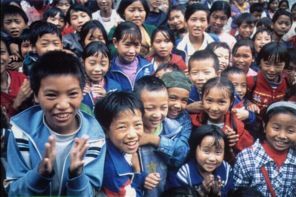 Nujiang hires Minority Nationality and follows a Code of Ecotour Ethics and all pertinent laws and regulations of the People's Republic of China. 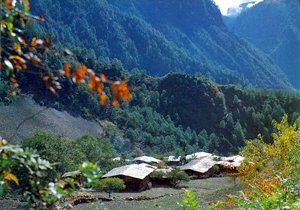 How does Nujiang ecotourism for preservation work? Each Event or Tour allocates a 15% donation to one of our Donation Programs. © White Pearl The Nu Jiang Canyon. Archeology Search for the Lost Shangri La - will trace the locations of the clues in NuJiang and Deqen. A history component will cover the Burma Road of World War II Flying Tigers, and the Old Southern Silk Road of Marco Polo's time. Contact NuJiang Travel Bureau to receive the Itinerary. NuJiang Lisu Autonomous Prefecture Travel Service Company and its subsidiaries, as the controlling agency over all tourism including paddling in NuJiang, runs support for all Project tours, expeditions, and events within NuJiang. 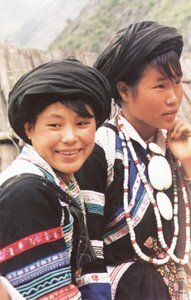 Led by distinguished minority scholars, NuJiang Travel is also the host agency for all Ethnology related tours and the Archeology Search Tour for The Lost Horizons' Shangri La. See the NuJiang Travel Bureau brochure. by White Pearl, White Pearl Associates. 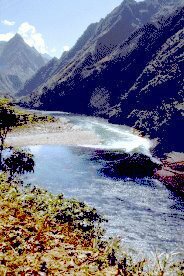 Email chinariverscom at yahoo.com for description of the new NuJiang River Permit System, and to sign up for paddling during the winter season under the new convenient "Draw System".